Working on the scans and models for the v2 line. Better scans, reworked and resized models. Worked until the last minute of the trial on the software I was using with some additional tweaks to make things more accurate. As it stands now, I won't be able to save anymore, so I can't make anymore tweaks... so this is as good as it gets. I probably won't print the dome, but I am trying to find another source for some of the parts and previous scans, so this project isn't over yet. The Nefertiti bust is a scan of the actual piece that has been shared online. And in the last minutes of the trial I even worked up a 1x4x9 Monolith from 2001 just for fun. This will probably be the last update in a while... these past 42 days have been rough as hell... so I need a break. WOW those look amazing!! 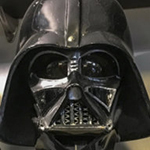 any plans on selling copies of the Vader helmets? 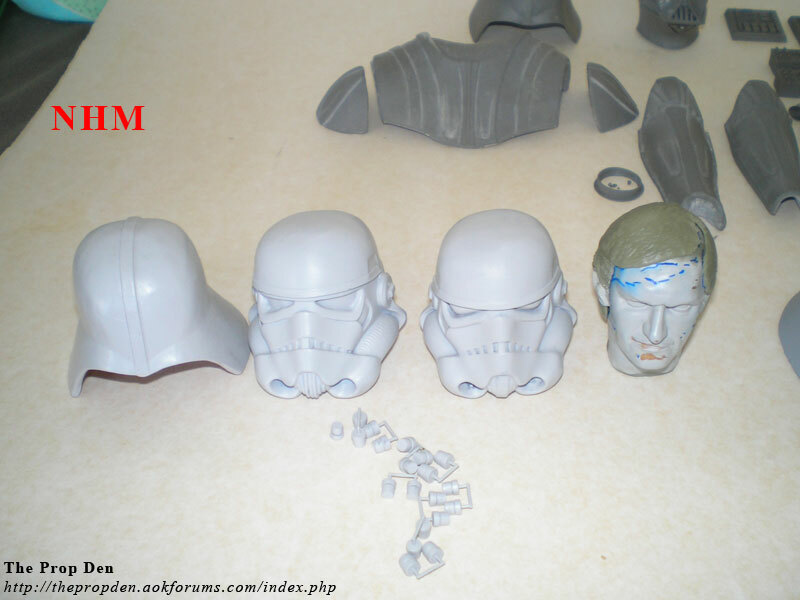 if so I'd be interested in both ESB and ANH helmets!! Yes. It will be through the new owner / producer. Those looks amazing! Hopefully it will happen -- I'm been coveting the ANH set for years now. Wanted to show the whole line-up. 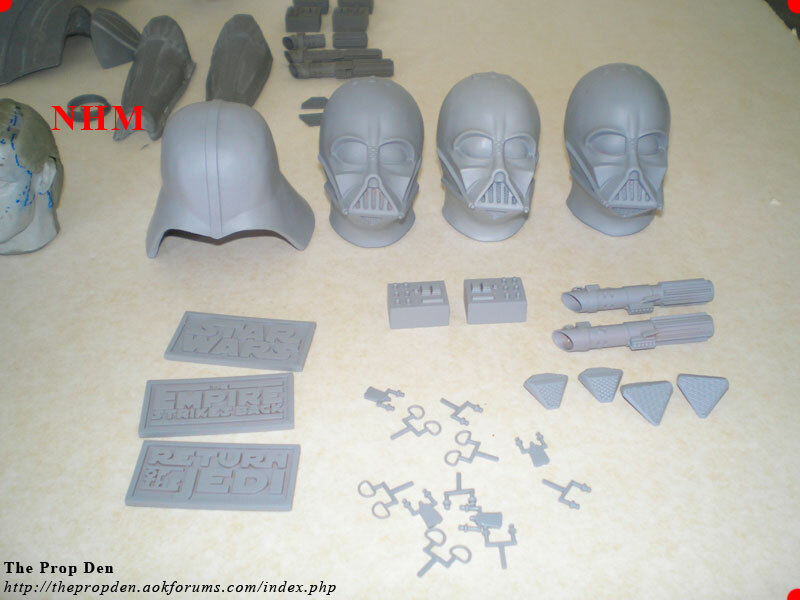 Then there is the beginning of the v2 project when I had better scans made and printed in highest quality available. 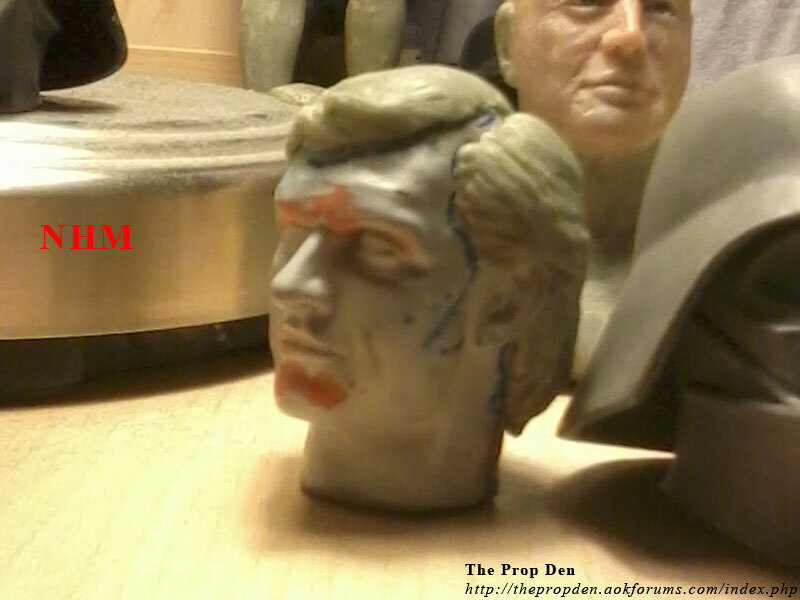 I actually cut the back of the Prowse head off, so I could replace the scar damage that had been warped when I had a 3D modeler work on the face - I printed new scar detail from the original scan and glued it onto the face part. 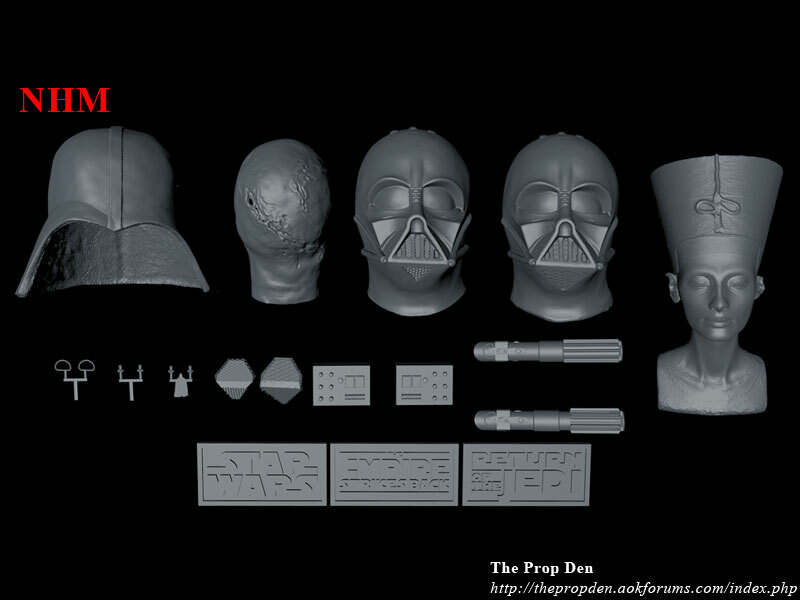 But currently, I'm sculpting hair and eyebrows on him that will be removable after molding, for a special bust project of Prowse in the ANH Vader getup holding the helmet in his hand, similar to the pictures from that early board game. 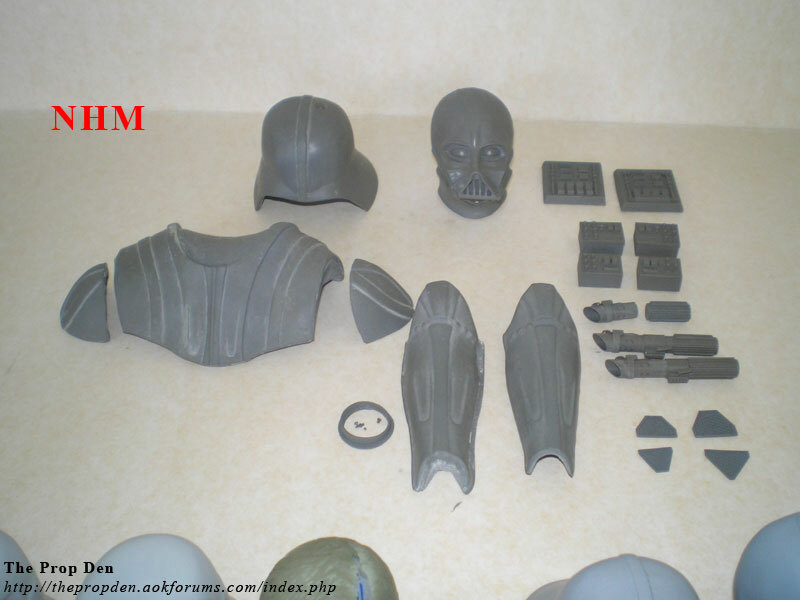 I'm gearing up for an last scan and print batch to update the whole v1 set with new chest armor and shins and ESB dome and ANH dome scan. I'm slowly collecting parts to be scanned but this may take a while. Incredible detail. 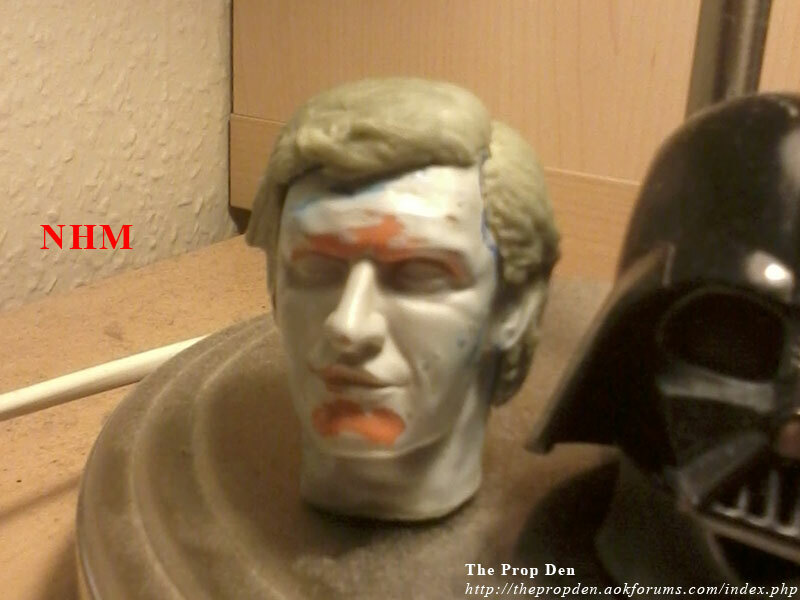 How was the Prowse head sculpted- completely digitally? 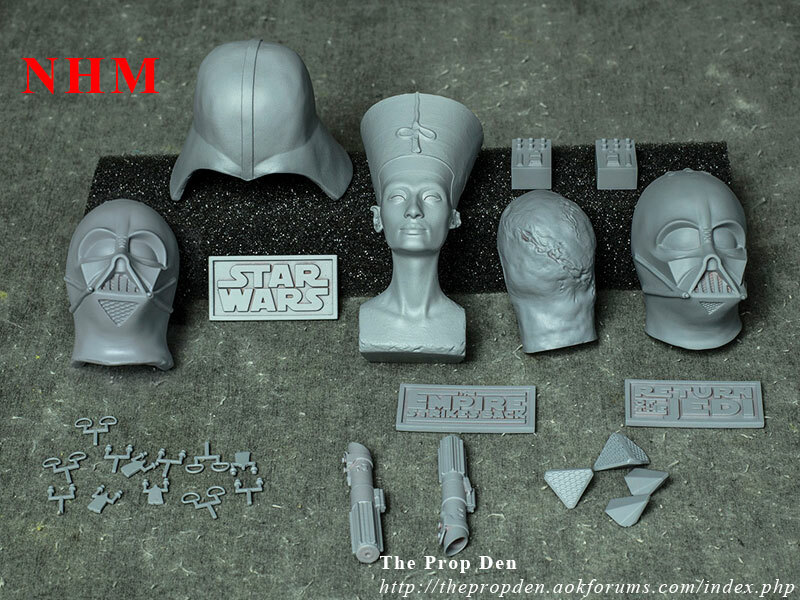 Well, Vadermonkey, sculpted the Prowse head for his ESB reveal that was then scanned, but I had a particular look in mind, so with permission from him, I had a digital artist - Sean Dabbs, who I had been working with on the Chloe Moretz head sculpt and where I have helped with reference and suggestions for some of his other sculpts for his producers Warriors Gate Productions who specialize in head sculpts and accessories for sixth scale figures - take a stab at it and ended up with the current look. 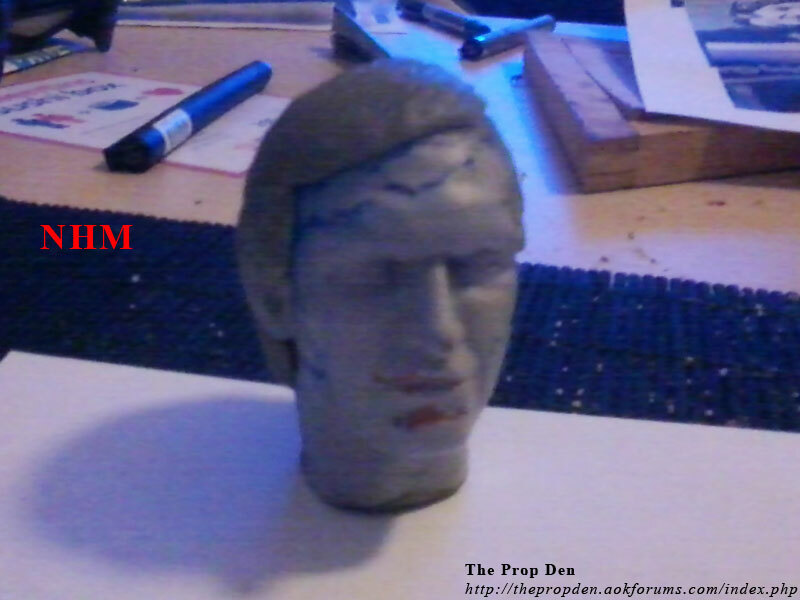 His work altered the shape of the rear of the head and softened the detail of the scars, which is why I went back to the original scan, scaled it, and printed the back of the head anew with the sharper and more accurately shaped scar detail and just glued it onto the face part and filled the gap between the two. Still working in it, as I had limited funds when Sean worked on it, so he worked until he reached the agreed upon amount, so I have a few things to fix, but I'm getting there. Been working on adding hair to Prowse since the start of February and just wanted to show the progress. Sorry for the dark and blurry pictures - lighting sucked and I couldn't hold my damn hand still for my phone to focus and get a good shot. The other pictures show the same issue, as they were all taken with my phone camera. Here's a shot from February 5th when I started the basic hair "shell" made out of apoxie sculpt, as I can't sculpt directly onto the head cast due to wanting to save the scar detail on the back of his head. 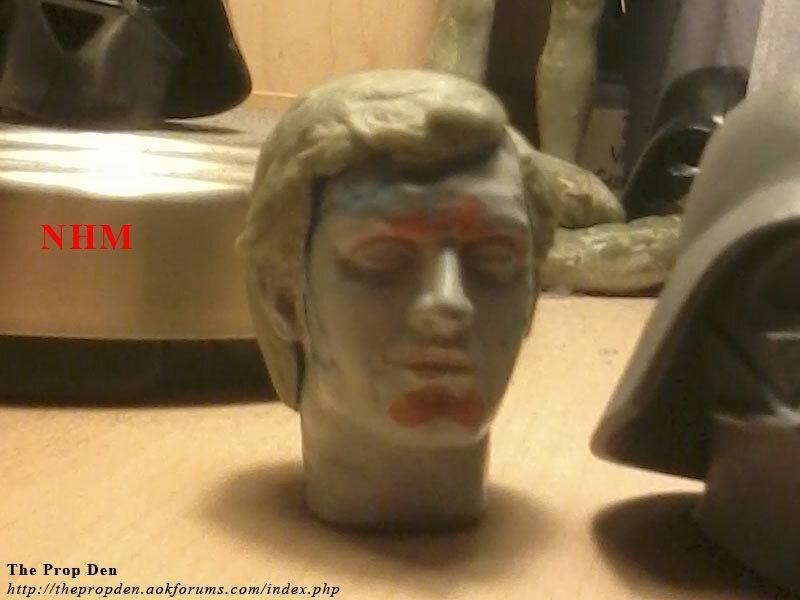 In order to do this and not have the shell grip the head and be impossible to take off I am leaving some areas off such as the temple and sideburns, which will be done in super sculpey, so I can mold it and then remove the hair for a reveal style Prowse for later. Moving on to February 11th and I started adding in hair details, such as basic thickness and started working on the hair at his brow and chose the swooped up look he has in some pictures taken during ANH. I can't remember if I had started working on the area between his eyebrows and upper eyelids at this time, opening that up and making the eyelids more visible and not covered like most others and giving him that specific look. February 13th I had been working more on the left side, bulking things up and starting to add swirls and alternate directions for the hair to give it that wild seventies look. Working on Prowse really shows what a large mane he actually has and it's actually fairly reminiscent of how Anakin was shown during RotS, just parted at the opposite side and not as curly. Then we come to last night, February 18th where I worked some more on the hair at his brow and the parting line and I think I did a pretty decent job of making it look natural. Looking good. You've captured Prowse's vintage hair style well.